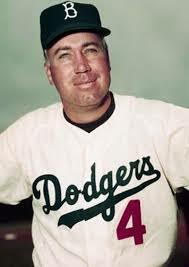 Dodgers magic number is Six! Will the Dodgers clinch at home? I checked the D’Backs schedule and they are off on Thursday. for the Dodgers, Thursday is the start of a four game series with the Giants. The D’Backs return home to receive the Colorado Rockies. I had to explain to a friend how the magic number gets calculated so I decided to put it here. Let’s hope the number goes down again tonight. I am in a pool to guess when the Dodgers will clinch but I don’t think I will win. I ended up with 9/17 and hopefully it will be before. Dodgers reel in the Marlins with Clayton Kershaw on the mound today on an early game on Getaway day. I am so glad that for a change the Dodgers played early today as the schedule has not been nice to them on getaway days. Kershaw pitched eight scoreless innings striking out six. Kershaw improved his record to 13-7 and lowered his ERA to 1.72! Kershaw also lined a single to left field to bring in Yasiel Puig for the first run. El barbudo de Brian Wilson made his Dodger debut in the ninth inning. Funny picture from Mike Scioscia Tragic Illness blog. I like the barba Azul. Among the Dodgers that have worn #27 are Pete Reiser, Clyde King, Carl Furillo, Gene Mauch, Tommy Lasorda, Bob Borkoswki, Don Demeter, Jim Gentile, Mike Sharperson, Kevin Brown, Jose Lima, James Loney, Matt Kemp. The boys should be getting home later on tonight to start the three game series with the Red Sox. The Red Sox did not play today. Tomorrow’s matchup is Lackey against Ricky Nolasko. Here’s to you Dodgers! 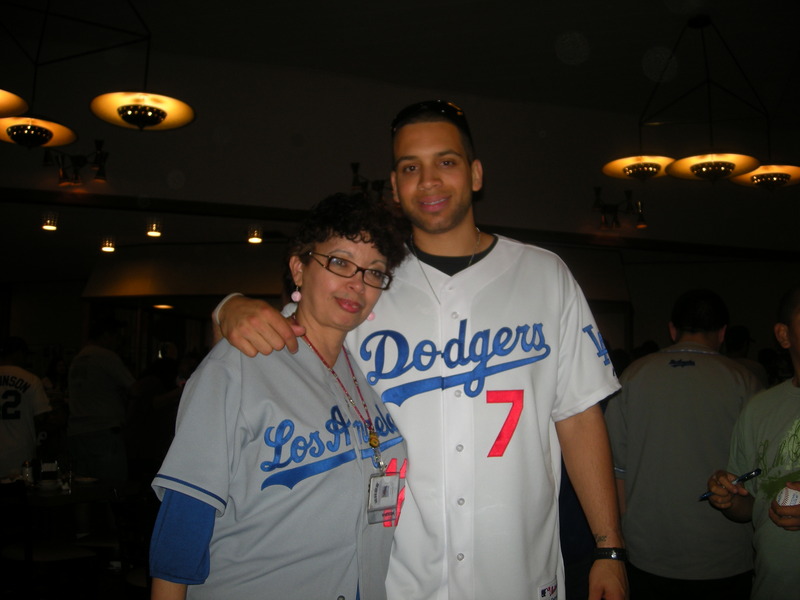 See you at OLOCR (Our Lady of Chavez Ravine)!!! Reggie Smith will throw out a ceremonial first pitch on Friday. The Dodgers clinched a postseason berth for the third time in four years with an 8-4 comeback win over the Pirates! Randy Wolf was on the mound but he did not get the win. He was winning when he left the game so yet another no-decision by Randy. That was no-decision #16 for Randy but you know what? That is OK, the team won! Did you all know that Randy Wolf has never been to the playoffs?? He was interviewed and he said he is happy that this time he will not be at home watching it. Ahhhh..
Randy left the following teams after they made the playoffs: Padres, Astros, Dodgers, Phillies. Randy is hungry like a wolf! haha, now I want to sing that song. Congratulations to Randy and the Dodgers! Here is Tommy now standing next to his portrait at the Smithsonian’s National Portrait Gallery in Washington unveiled last week. This morning I got an email that my playoff tickets have been shipped with a two day delivery! Woohoo! I put my aunt on alert to receive the package. My friend LTD23 and I will be in San Diego for the final two road game! It is fitting that we close the series there since we went to the Opening series, the setup series and now the closer series in San Diego! I made the hotel reservation for one night, LTD23 got tickets for Wednesday but we still need tickets for Tuesday. Are you reading this LTD23? haha. 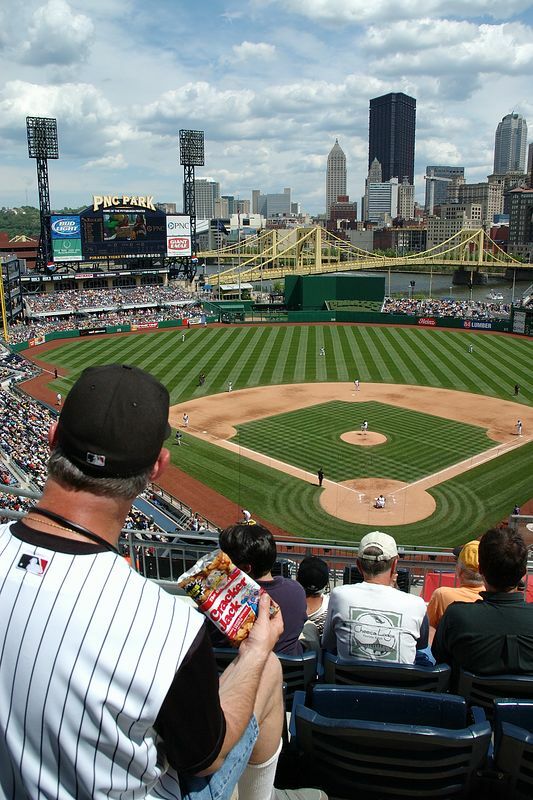 A ban on incoming private charter flights to Pittsburgh was imposed by the Secret Service and Major League Baseball had to receive a special waiver so the Dodgers could get into town. 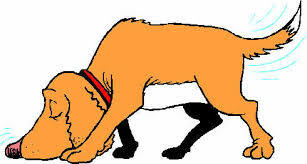 The waiver was granted under the condition that the Dodgers would hve to go through TSA lines at Washington Dullies Aiport and have their bags sniffed by bomb-sniffing dogs. Akasai told players that they culdn’t carry alcohol or cologne in their carry-on baggage. Because of the various checkpoints, Akasaki booked rooms at a hotel on the outskirts of the designated security zones instead of at the regular team hotel in the heart of downtown. But there is expected to be added security in the new hotel, as it is housing the French, German and Turkish delegations at the G-20. One of the songs he tackles is “There Used to be a Ballpark,” which will remind no one of Frank Sinatra’s version…. 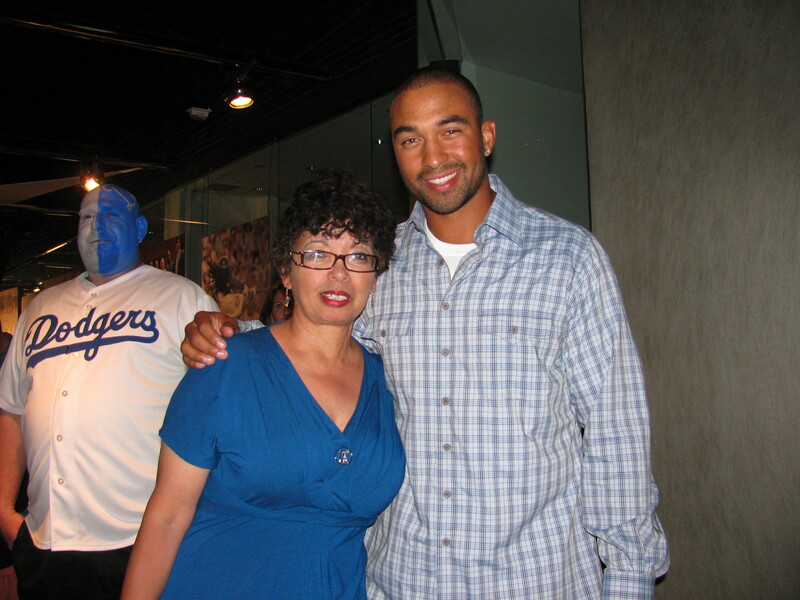 Congratulations to Matt Kemp on his 100 RBI plateau! Good Luck Garland! Let’s Go Dodgers!